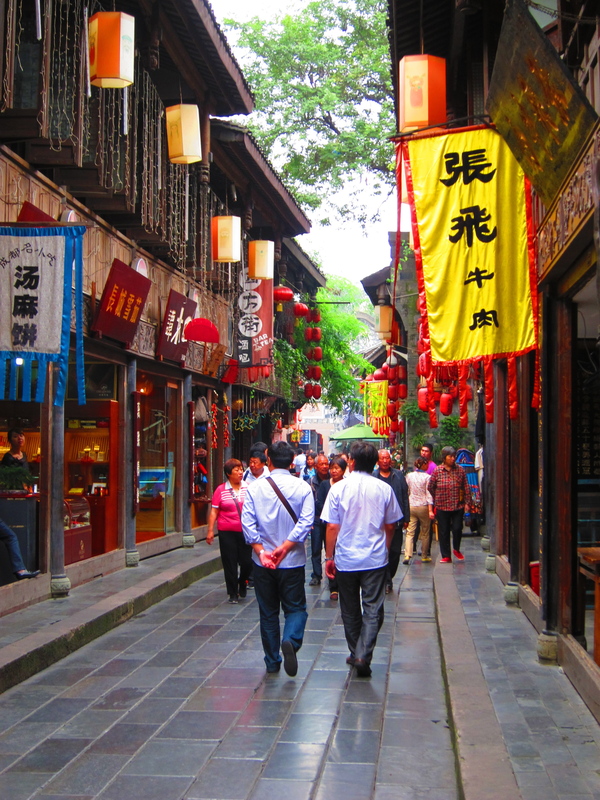 Jinli Street in Chengdu is a place admittedly designed for tourists. But that doesn’t mean you should skip it when visiting Chengdu. There’s loads of local colour, snack foods to buy and shopping to be done. 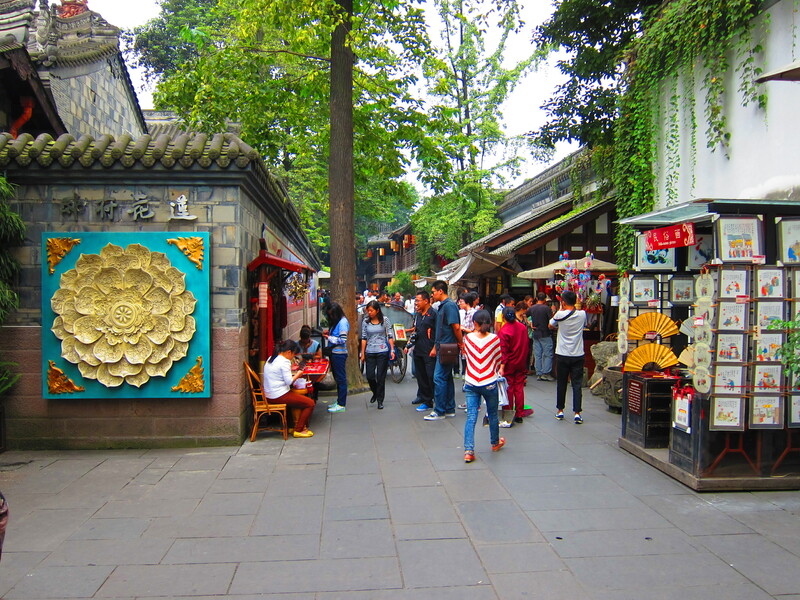 It’s great if you want to buy a few souvenirs to take home and see a bit of “ancient” Chengdu. 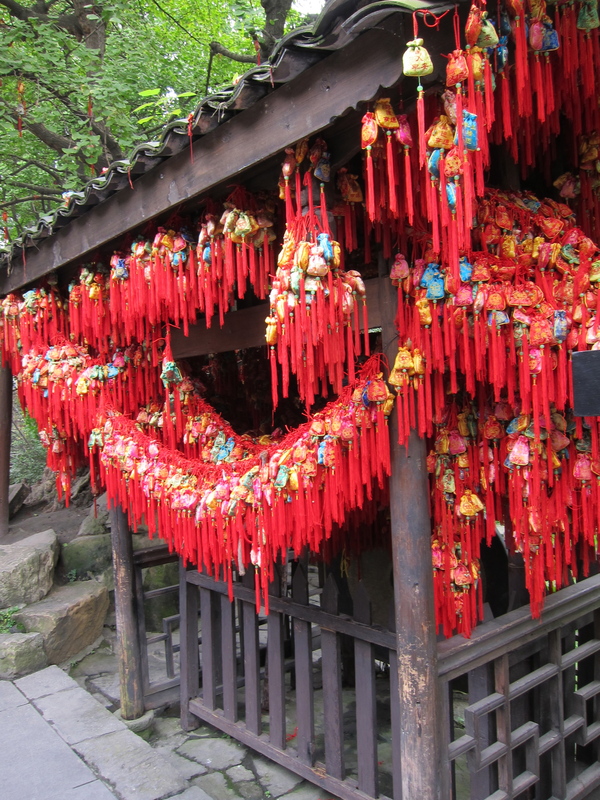 Jinli Street is part of the old town of Chengdu and in history was the most famous place for baldachin – a rich, ornate cloth – as early as the Qin Dynasty (221 BC – 206 BC). And in fact, it was one of the busiest commercial and shopping areas during the Shu Kingdom (221-263), earning it’s nickname as ‘First Street of the Shu Kingdom’. It was restored in 2004 with donations from the nearby Wuhou Temple and was opened to public as a walking street for leisurely shopping, dining and tourism. 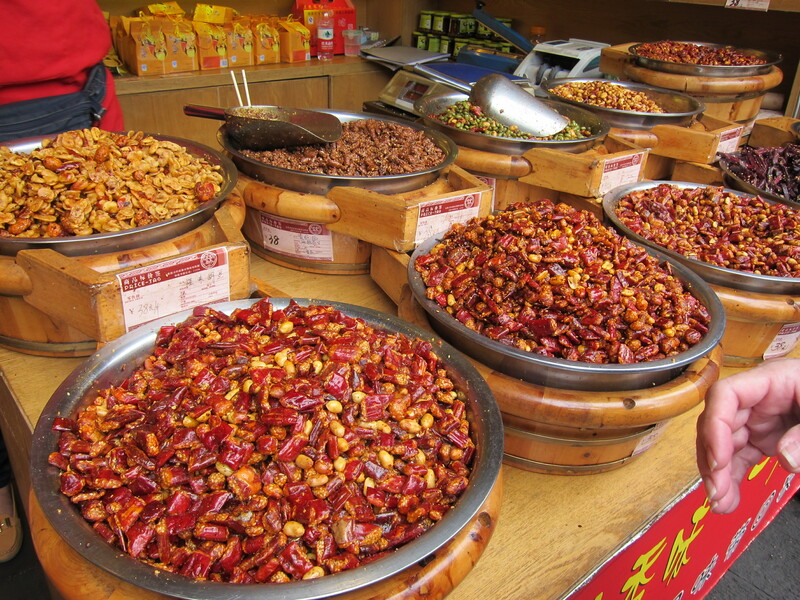 You can see loads of shopkeepers selling local snacks costing from 10-60 RMB. To be fair, it is a bit overpriced by China standards, but it’s still worth a stroll through to see the restored ancient buildings and take some great photos.